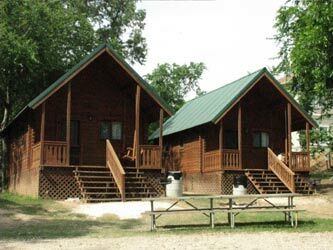 Lake Conroe is a perfect place to spend the weekend fishing and spending the night in some great Lake Conroe fishing cabins. In addition to fishing, when you stay in a Lake Conroe fishing cabin, you'll find lots of other fun things to see and do in and around Lake Conroe. See the Resource Guide below to learn more. Castaways has 6 cabins that all have lake views from the front porch and are about 150 yards from the water. The cabins sleep 6 to 8 and are fully furnished with all of the necessities that you need to have an enjoyable weekend or longer - AC/heating, full refrig, linens and pillows, utensils, TV, coffee maker, BBQ grill, picnic table, and more. If you want to upgrade, check out their new two bedroom very well appointed condos! 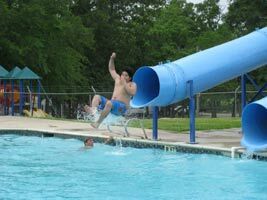 In addition to the cabins and condos, you find lots of other amenities including: swimming pool and slide, miniature golf, tennis and basketball courts, volleyball, ping pong, horseshoes, and more. There is a two lane boat ramp and a dock for overnight boat parking about 150 yards from the cabins.